Miss Lau Yun Xi is living proof that science and the arts are not mutually exclusive. 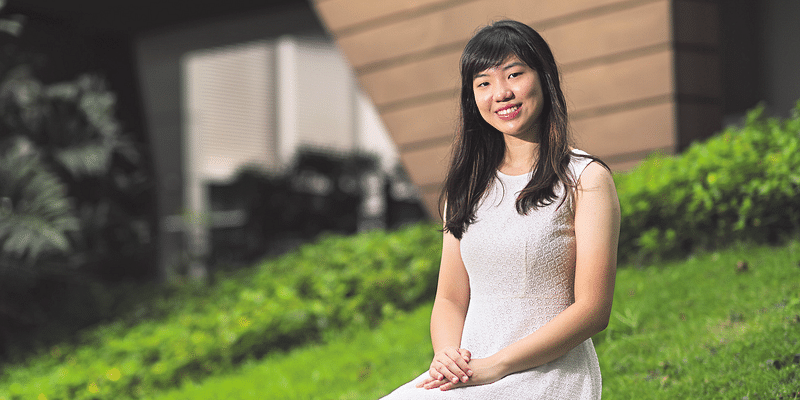 Only 19, she is one of the recipients of the NUS Performing & Visual Arts Scholarship, and is currently pursuing a Bachelor of Medicine and Bachelor of Surgery (MBBS). The scholarship allows Miss Lau to focus on studying medicine for the next few years without having to sacrifice her passion for playing the cello. She is a member of the NUS Symphony Orchestra. She contributes actively to the performing arts scene in NUS, and participates in various community involvement programmes around the school. Orchestra, and Jan Vogler, a distinguished cellist. Her love for the cello prompted her to apply for the NUS scholarship. “It was ideal as it would provide me with an avenue to actively pursue my interest in performing even as I continued with my academic studies,” she says. Miss Lau opted to study medicine so that she can help people in tangible ways. In her first semester of school, she learnt how the consequences of poor health did not affect justthe patients, but also the people around them. “While volunteering at Meet-the-People sessions as an appeal letter writer, one resident approached us to request for financial assistance because she had difficulty affording long-term dialysis treatment for her elderly parents,” Miss Lau says. Her stint at these sessions taught her how to communicate effectively with elderly residents to help them feel more at ease. “I do fall back on what I’ve learnt during these sessions when I help out at health screenings for class,” she says. A similar learning initiative is the Patient-Based Programme (PBP), which all medical students at NUS go through, and which serves as an introduction to Singapore’s healthcare system. The PBP is a series of supervised consultations with patients and healthcare workers, and through which students learn to manage an open interview, exercise listening skills, and offer patient-centred care. When she qualifies as a doctor, she hopes to be kind and competent, and make a positive difference to the people she meets. “This scholarship has given me opportunities to hear leaders from both the music and medical communities share their experiences and insights, as well as meet other scholars who have similar interests, but also different outlooks and perspectives,” she adds.